This report summarises the most recent developments in Probate Practice to keep you up to date and familiar with current law. 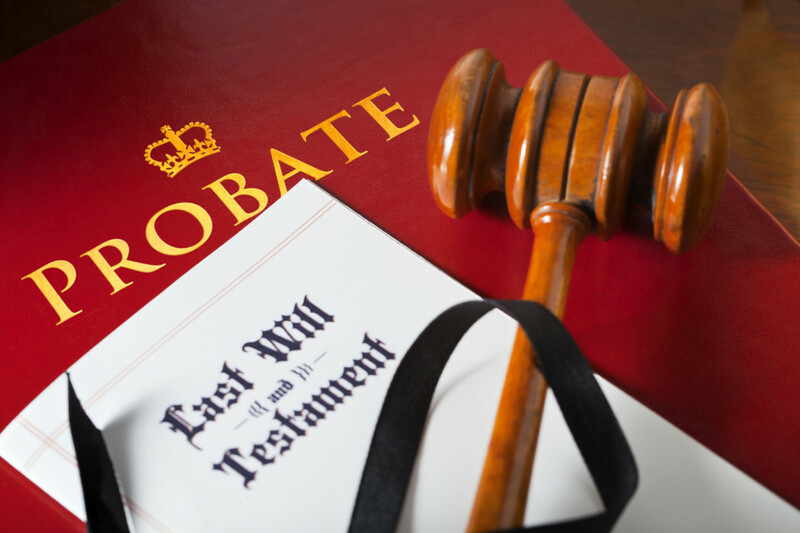 Probate Practice has become an increasingly dynamic area of law. Recent developments have demonstrated how important it is for practitioners to understand that a relatively straightforward Estate Administration can quickly become quite complex for various reasons. This could include a claim from a disinherited relative, disputes regarding the testator’s capacity to make a Will, or a tax issue. A key consideration for all Wills and Probate practitioners is the increasingly international nature of legal practice when families spread geographically and individuals are more likely today, to own assets abroad. A deceased who is domiciled in the UK and who dies leaving assets in another EU country may be affected by the new EU cross bordered Inheritance laws. Regulation (EU) No. 650/2012 of the European Parliament and of the Council of 4th July 2012, on jurisdiction, applicable law, recognition and enforcement of decisions and acceptance of enforcement of authentic instrument in matters of succession and on the creation of a European Certificate of Succession (known as the EU Succession Regulation) applies to deaths on or after 17th August 2015 and allows individuals making Wills to opt out of the forced airship rules that apply in a number of EU countries. What this means is that those persons can choose either the law of the country of their nationality, or their last habitual residence to apply to any assets they own elsewhere in Europe. When someone dies, under the EU Succession Regulation, the law of the EU country where they were habitually resident will apply, unless their Will provides otherwise. As far as the UK is concerned, we opted out of the new rules. What this means is a person cannot elect for the law of another EU country to apply in the UK to British assets. However, an election can be made in respect of assets in other EU countries. When are lifetime gifts i.e. potential exempt gifts to be treated as an Estate Asset and therefore chargeable to Inheritance Tax? A recent ruling demonstrates that this question is not always easily answered. It is important when a practitioner takes instructions for the administration of a deceased’s estate to gain a complete picture of the value. This would include gathering as much information as possible about all the assets and debts including any gifts the deceased may have made during their lifetime. It is however a beneficiaries obligation to disclose to the executors any lifetime gifts made by the Testator. Beneficiaries and others have a legal duty to disclose in relation to gifts made during the last 7 years of a Testators lifetime for the purpose of Inheritance Tax. Executors can only rely on the information provided to them by family members and their advisers. Their duty is to the estate, beneficiaries and to HMRC, it does not extend to, for example, carrying out detailed physical searches of properties for relevant information. When making a Will, an individual is free to leave their assets to whoever they choose. This is called testamentary freedom. It is limited by statute notably under the Inheritance (Provision for Family and Dependents) Act 1975. In the case of Ilott, the deceased’s child was disinherited having been estranged for some 26 years from her late mother who left her estate to 4 different charities. Her claim under the Inheritance (Provision for Family and Dependents) Act 1975 was successful. An important factor was that Testator had acted in an unreasonable capricious and harsh way towards her daughter. Further it was clear that the deceased did not have any connection with the 4 charities, nor did they have any expectation of benefitting under her Will. Although the daughter who was dependent on state benefits also had no such expectation, the Court said that she was deprived from any expectation because of the deceased’s behaviour towards her. The Court of Appeal awarded the daughter £143,000.00 to buy a house together with reasonable costs of the acquisition and £20,000.00 to provide for her income needs. The Court increased the original award of £50,000.00 because of the effect the original amount would have on her state benefits. Therefore when taking instructions for Wills, practitioners must ensure that they have a full picture of the client’s family situation, so that if any child or dependent is not provided under the Will, the client can be advised of the potential consequences on their death. However, we must remember that individuals can disinherit a child if there is good reason to do so. If the reason is capricious or unreasonable, as on the facts of Ilott, the court may take a different view.